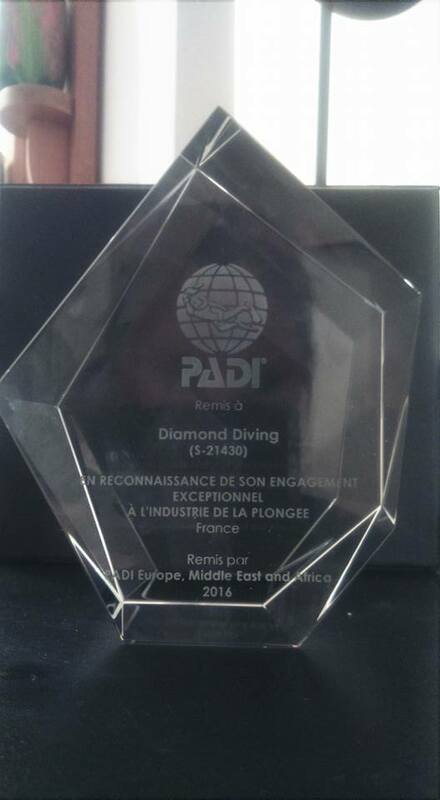 Diamond Diving wins another PADI Award! We are very happy to have received an Award from PADI EMEA at the recent Paris Diveshow for our exceptional implication in the diving industry. A great reward for our work over the past seven years since our first Award as best French newcomer in 2009. A big thanks to our clients and to the PADI EMEA French team! Our next Emergency First Response Course is organised for the weekend of the 27th and 28th of February, so if you need or want to learn some extremely useful primary and secondary care skills just e-mail or call. We will be cleaning up the local dive environment next time on April 17th so let us know if you would like to join in. A free dive in return for your conservation efforts! And finally we are organising another “Discover Rebreathers” day on April 30th with our long term partner, Jean-Francois Andre. We always have excellent feedback on these events. Maximum eight places and the price is 85 Euros per person.